Surreal Mixed Media Paintings – New. I will be starting a series of surreal mixed media paintings this November. I’ll be playing with chalk pastels, oil pastels, ink and other media and hope to produce some new effects and a couple of masterpieces on the way. Anomoly. $125 Mixed Media on Paper. 12 * 8 cm. This work, Anomaly 2 is a tiny pastel and ink work. The combination of pastel and ink allows for strong depth effects in these works. 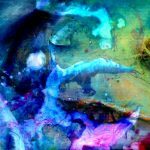 Since most of my surreal mixed media paintings are done using these media they tend to explode with colour and also play with depth within the paintings. This nebula- like painting is part of a series of similar paintings exploring eternity. I hope to go further with this topic in the coming months. I also expect to experiment with pastels (oil and chalk). I’m not yet sure what effects I will discover. Therefore it will be an exciting time playing with a different combinations of media. In the coming months, I will paint some surreal mixed media paintings with just pastel combinations. I expect the oil pastels to jump out at the viewer when placed against the softer chalk pastel background. Therefore some of these images may look similar to the pastel and ink works. 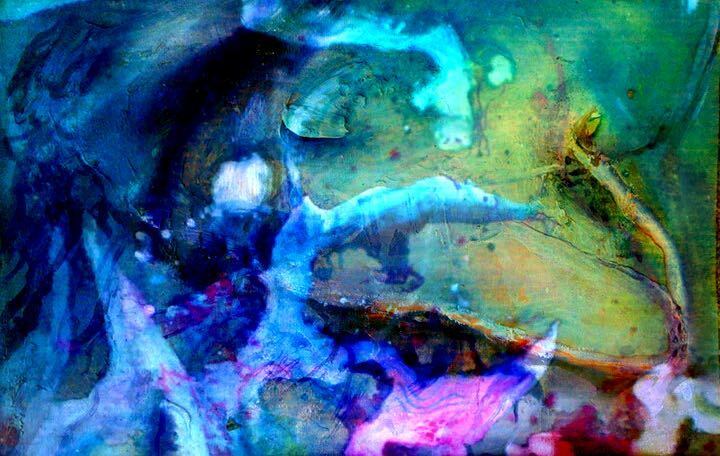 I will continue to play with the space in these surreal mixed media paintings. I hope to make the surfaces and the depth in the paintings shift and move. I want to represent time in various ways. I hope to play with the ideas of time and eternity. consequently, I want to show time collapsing in on itself. Also I could show multiple moments converging, multiple moments separating and the comparison between time and eternity itself in these paintings. I will also be exploring the relationship between time and colour in these works. This entry was posted in Uncategorized on October 28, 2017 by Lenny.